In September 2018 we were commissioned to take some aerial photographs to show the location of a new development and the surrounding area. The location for the job was Bracknell, on the outskirts of London. In order to get the shots required, we liaised with a number of local landowners to get permission to use their land for take off and landing. This meant there was no need to overfly any areas of the busy urban location and meant we could keep risks to a minimum. However choosing the appropriate take off location to get the desired angle still didn’t permit us to get everything in a single shot. 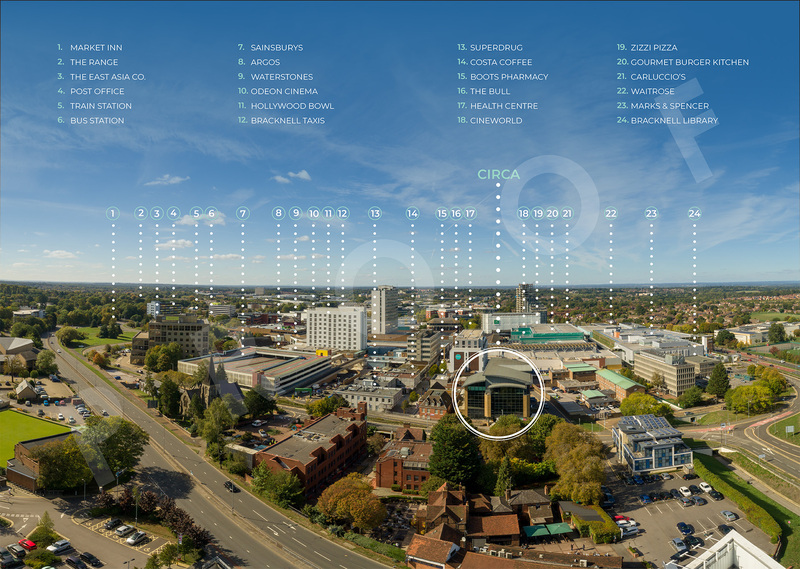 Whilst we were on site we took numerous other images of central Bracknell, so if you are in need of any aerial shots of the area around the Lexicon centre in particular, please get in touch as we may have something in our library that would be suitable.